Let me start by officially wishing you a very Happy New Year. 2017 has come and gone with so many memories in between. At the start of a New Year, it is quite usual to reflect on the previous one, although I suspect a lot of us tend to look at the things we failed at, in order to motivate ourselves and make sure we achieve our new year’s resolution. We all want to get closer to God, improve our financial situations, get healthier, lose weight, and keep in touch with loved ones more, as well all strive to become better human beings. Someone asked if I have any New Year Resolution and I replied ‘’I’m not done with the list’’ and the person was like ‘’we are in the new year already and you don’t have it all figured out yet?’’. Just so you know it’s not too late to have your resolutions. Who says resolutions even have to come at the beginning of the year? How about you do that right away. 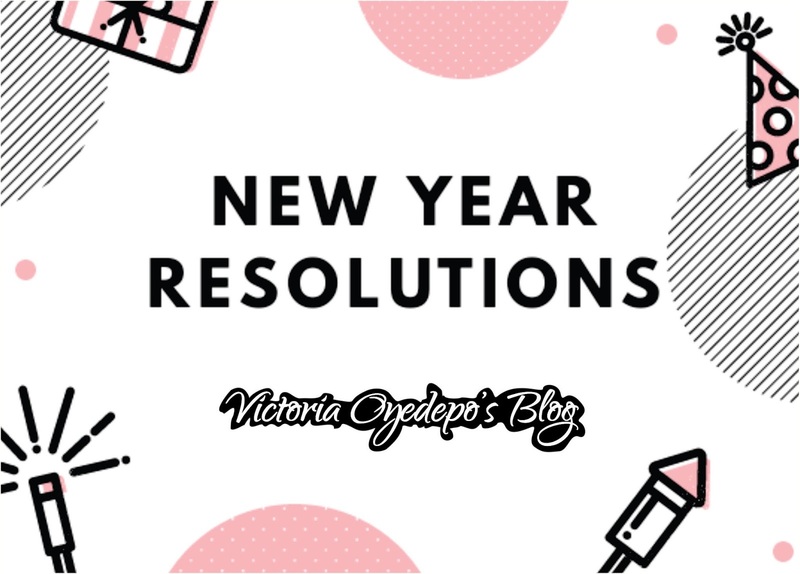 I plead with you to always make realistic resolutions, knowing that they can last longer than the 31st of January, so that by the end of the year, you can look back and say to yourself, ‘’I kept to my resolutions’’. No one lives a perfect life and we all have lots of things we still want to work on to improve ourselves. You know how people go about saying ‘’new year, new me’’. Personally, I say ‘’new year, same me’’. I have so many resolutions but it still doesn’t change who I am. I’m at peace with myself just that I feel I should still work on myself. One of which is my anger/patience/tolerance level, don’t give me that stern look, Lol. Just so you know I’m not easily angered, I tend to bottle up my anger and when it is full I explode with fury. Resolutions could come in different forms, be it Career, Academic, Fashion, Family, Relationship, Business, Money, Reading more books, Eating healthier, Exercising more, Travelling, and the list of resolutions are endless. Write them out and always keep tabs on them at least every 2/3 months to monitor your progress. Have a productive year and a splendid weekend.